Professor Wu was born in Harbin, China. After completing his secondary school at the age of fifteen, he followed his uncle to remote counties and worked as a bare-foot doctor. When universities were allowed to reopen in 1978, and entrance exams resumed recommencing, he applied for the programme of Traditional Chinese Medicine in Heilongjiang TCM University, China. After years of acquiring clinical experiences post graduation, he was accepted into the Department of Acupuncture Research in 1985, enrolling in the prestigious China Academy of Traditional Chinese Medicine in Beijing, thereby mastering in Qigong and Acupuncture from the highest recognized academy in China for traditional Chinese medical research. This medical programme was a joint approval from the Ministry of Health and the Ministry of Education. He then became one of the first three postgraduates of Medical Qigong who received a Master's Degree in China and also internationally. Latter studies at Hebei Medical University and Henan Medical University of Transitional Chinese Medicine, and became a specialized doctor cooperated of Chinese and western and Chinese medicine. He also held the position of Deputy Director of the Acupuncture Research Department of the Heilongjiang TCM Institute and was the Dean of the Qigong Researching Department before going abroad. During the pursuit of his studies, Bin Jiang studied under the tutelage of famous specialists in acupuncture, qigong, Chinese herbs and traditional Chinese medicine and acquired the kernel of their knowledge. The ex-president of the World Federation of Acupuncture Moxibustion Society, Professor Xuetai Wang was his instructor in acupuncture; The President of China Association of Acupuncture-Moxibustion Manipulation, Professor Ji Zhang, also imparted his knowledge to him in study; and the last follower of the founder Xiangqi Wang of Da Cheng Quan and successor of Master Qianchuan Zhou of Er-Mei, Professor Guorui Jiao, who is a famous Traditional Chinese Medicine Qigong specialist, was his Qigong instructor. To include to the list, the author of 'Preventing of Cancer with Chinese Herb Therapy' Professor Yongguang Li was also his palpation and Chinese herbs teacher. Wu upholds the philosophy of 'Better travel ten thousand miles than read ten thousand books' as his way of pursuing knowledge. On top of formal education and rigorous higher education, he also travels a lot to absorb the best of what Buddhism, Taoism, and even local native practices have to offer. The 31st generation monk in Shaolin temple of Mount Song-San, 90-year-old Master Shidexing and the contemporary famous monk doctor, Master Miaozan both became his good teachers and friends during his travels. From his youth, Professor Wu had already instituted a firm groundwork in Traditional Chinese Medicine. With several years invested in formal higher education, coupled with the ability to gather together the best from different specialists, Bin Jiang Wu laid a solid foundation for the development Wu's Head Massage. The potent combination of education, experiences and character endowed him to spread the traditional Chinese medicine to overseas and abroad, and to provide him a set of strong wings that continue to carry him to a prosperous future. Since 1989 Professor Wu had visited almost twenty countries delivering a lecture series and treatment tour. Among countries visited include Japan, Germany, France, Italy, Austria, Hungary, Czechoslovakia, former Soviet Union, Yugoslavia, U.S., and Australia. Training over a thousand students greatly publicized and promoted the academy of traditional Chinese medicine overseas. His research papers in traditional Chinese medicine, acupuncture, and qigong had been circulated in many state-level publications. The reports from media such as the local newspapers, magazines, journals, TVs and radios have reached many countries. Professor Wu is an experienced traditional Chinese medicine specialist and also international TCM educator. His analytical mind, diligence in studying, daring in exploring new ideas, all enabled his unique Wu's Head Massage to become popular in Europe, American and Asia. With the development of high technology and the wide use of computers, more and more people are working in offices as 'white collar professionals'. Such group includes programmers, secretaries, managers, bank clerks, accountants, lawyers, doctors, etc. As a result more and more people have suffered from different 'civilization-related illness'. For instance, those sitting in front of the computer are apt to suffering from 'computer syndrome', an impediment characterized by vertigo, irritability, headache, visual fatigue and heavy shoulders. Also, those who live a fast-paced stressful city life are apt to suffering from the gastrointestinal irregularities, insomnia, etc. Those who drive often or sit for a long period in front of a computer at work, in front of a TV at home, and do less exercise are apt to suffering from neck diseases. The treatment and prevention of these 'civilization-related illnesses' by a natural medical approach has been a challenging question that confronts many medical professionals. Wu's Head Massage, a new specialized treatment and health care method, is a direct solution to these problems. Wu's Head Massage which is based on the experience of our ancestors, on the theory that of the distribution of organs and limbs on the face as described in The Yellow Emperor's Canon of Internal Medicine, and on the theories of the scalp and ear acupunctures. Wu's Head Massage is also practiced by assimilation of theories from Shaoling and Er-Mei acupoint pressure techniques, Qigong, and hypnosis. It adapts technique of original local head massage, then applying the standard practice movements, until the final enrichment steps refined what is now an established and completed set of treatment, that is set in full accordance to the professionally standard method. Since then, Wu's head massage has gained the research attention of the medical field. In 1993, Professor Wu first introduced his Wu's Head Massage to the public in the form of an article at The 3rd World Conference on Acupuncture for the World Federation of Acupuncture-Moxibustion Societies held in Japan. Since then, through more than a decade of extensive clinical and teaching experiences, it continuously develops to maturity and towards perfection. In 1998, in hopes of spreading Wu's Head Massage to gain international application and acclaim, Professor Wu left Vienna, Austria, and immigrated as a special talent to Canada, a country known for multi-national and diverse cultures. In April 2000, Professor Wu held the position of President of Ontario College of Traditional Chinese Medicine (OCTCM) and started setting up a training base for the formal Chinese medical education in English language. In August, the first batch of WHM students graduated. To this date there are now several hundreds who boast as graduates of OCTCM. Meanwhile, training facilities are branching out to other locations such as Halifax, Owen Sound and Montreal. In September 2000, the Wu's Head Massage International Association headquarter was founded in Toronto, Canada. Branches of the association are also established in Europe (Austria and Hungary). On April 9, 2001, Professor Wu was invited by the Toronto City TV Breakfast Show, to do a live show and interview demonstrating the Wu's Head Massage. In 2002, Wu Head Massage was incorporated into the Acupuncture programme, a four-year course offered by the Michener Institute of Applied Medical Science. In 2003, The College of Massage Therapists of Ontario listed Wu's Head Massage as one of the courses for the Register Massage Therapists (RMT) under quality assurance program and, has accredited for 30 continuing education units (CEUs). 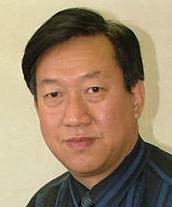 In November 2004, at the 6th World Conference on Acupuncture for the World Federation of Acupuncture-Moxibustion Societies held in Golden Coast, Australia, Professor Wu was asked to give a special topic presentation and demonstration on Wu's Head Massage, all of which generated great interest among the attendees. In October 2005, the English-edition monograph of Wu's Head Massage, which Professor Wu devoted more than ten years in research and experience to establish, was published in the U.S. and internationally released and distributed. In November 2005, the Wu's Head Massage trademark title and its logo were registered and approved as an intellectual asset by the Canada Federal Trademark Office. In January 8, 2006, the Overseas Traditional Chinese Medicine Educator and the founder of Head Massage, Professor Bin Jiang Wu was awarded as one of 'The Most Improved Chinese Entrepreneur 2005' in Canada. In May 29, 2006 Professor Wu Bin Jiang manages the Hungarian article in the 'Hungarian Budapest Wu's Head Massage' the new book release, also invited as the honor president in "Hungarian Wu's Head Massage Association". In Sep 22, 2006 awarded Gold Cup Aware at 'Third International Congress of Traditional Medicine' in Toronto, Canada. In Mar 2, 2007 invited by the Sleep Research Laboratory Department of Psychiatry Toronto Western Hospital, presented a special conference on 'How do Chinese cope with sleep difficulties: A look at traditional Chinese medicine' and specially introduced 'Wu's Head Massage and the clinical treatment' utilization. Ontario Province and other city hospitals department of neurology doctors watch this seminar through long-distance television. In October, 2007 is participating to "The 20th Anniversary of The World Acupuncture and Moxibustion Academic Society and the Academic Congress". Dr. Wu is presenting 'The Clinical Practice of Head Massage Treatment of Insomnia'. Also he is invited to be a branch Executive Chairman of this congress in Beijing. Dr Wu was also elected to be the Vice President of the Educational Instruction Committee of the World Federation of Chinese Medicine Societies (WFCMS). In March 2008, Dr Wu was invited to be the Judging Expert of NSFC (National Natural Science Foundation of China), for the Chinese Herbal Project. And in the same year, Dr Wu was also elected to act as the Vice President of The University Cooperation Working Committee of the World Federation of Acupuncture Moxibustion Societies (WFAS). In January 2009, Dr Wu was featured on the cover page of the American Chinese Fortune Magazine. In November of the same year, he was invited to join The 7th General Assembly of WFAS and World Acupuncture Congress at the European Parliament of Strasbourg France, in which Dr Wu was elected as one of the Board Members of the WFAS. During 1980's, the founder of foot Massage, Priest Ruoshi Wu introduced a technique that originated from the Chinese native local foot massage therapy first to Taiwan and then to Europe. It was a pity, however, that during its introductory period overseas, his foot massage therapy was quickly absorbed, dismembered and differentiated by the Reflexology School due to lack of Chinese Medical theory and sufficient strategies in marketing and planning. In contrast, the Wu's Head massage, which Professor Wu dedicated for more than ten years gestated, and gave birth to fruitful results. The healing principle of the head massage is in accordance with a systematic traditional Chinese medical theory; the application of the standard practicing movements and the supplement of Five Organs Tea (enhancer for the five different internal organs namely: heart, liver, spleen, lung and kidney) all combine to perfect and lengthen its effectiveness. In the 2009,after years of research, under the leadership and Guidance of Dr Wu, the medical experts of The Ontario College of Traditional Chinese Medicine invented the famous "5 elements Massage & Acupuncture Therapeutic System". The Wu's Head Massage registered its intellectual assets worldwide to protect its right. While enjoying its popularity in Europe and America, Wu's Head Massage will surely be practised all over the world in ten years time for the benefit of human civilization.